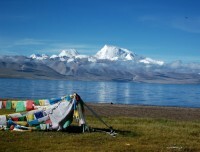 Tibet Group Joining Tour is 7 nights 8 days tour to Tibet. 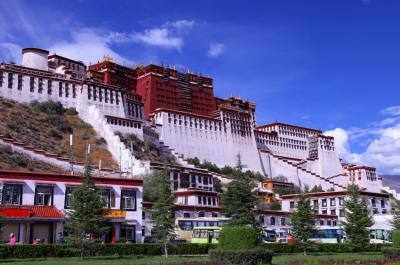 It covers major attraction of central Tibet. Tour starts from historical city Lhasa. 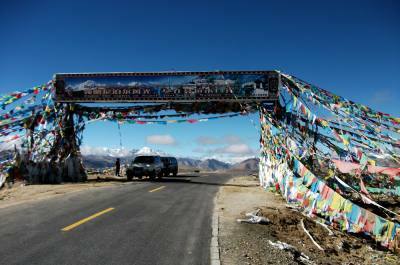 Drive to Shigatse, reach at Everest Base camp of Tibet. Tour is based on group joining of mix nationalities. Tour operate throughout the year accept March month. Professional Tibetan guide from Tibet Kailash Travel lead entire trip. 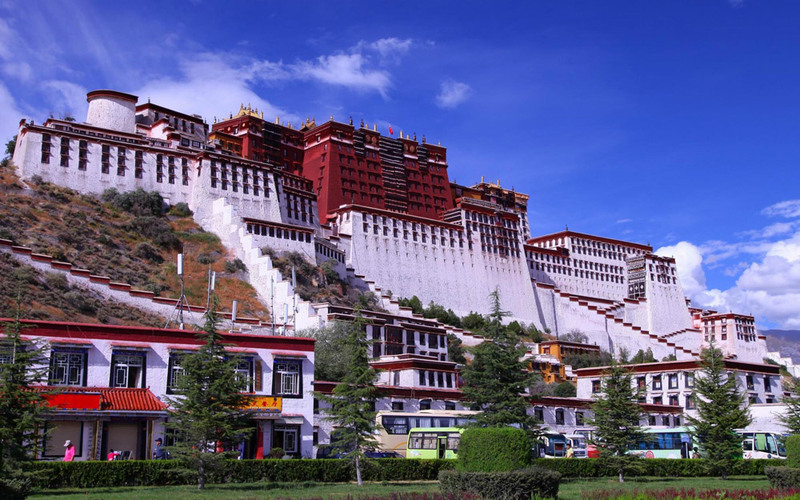 2 days sightseeing at Lhasa visit major monuments at including Potala palace. Tashilampo Monastery in Shigatse. Visit another oldest monastery at Ronbuk near Everest Base Camp. Entire tour is driving is well paved road via scenic landscape with stunning mountain views. Drive contains several high passes of over five thousand miters altitude. 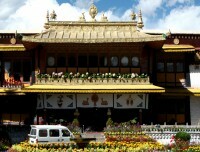 This tour can join at Kathmandu Nepal or join at Lhasa Tibet. We also can run this tour as your private tour. Tibet Kailash Travel and Tours can provide customize tour itinerary as per your interest. Tour can be joined from Kathmandu Nepal or join at Lhasa. All the nationalities have to issue special Tibet permits an advance. Permit procedure is different for those who are entering from mainland china and entering from Kathmandu Nepal. Tibet Kailash Travel arrange all necessary Tibetan permit and visa an advance, you just need to send your passport scan copy by mail. There are 2 ways to arrive at Lhasa city. Either from Kathmandu Nepal or from any part of China. Our guide pickup you either from Gonggar Airport near Lhasa city or from the train station. Transfer to Hotel at Lhasa and Overnight. Your departure might to Kathmandu Nepal by flight. Another departure option is to mainland china by flight or by train. Separate transporation for individual is extra charge. Note: If you are entering Tibet from Kathmandu Nepal, We will arrange your flight ticket to and from Lhasa and your visa from Kathmandu. This cost is extra cost from tour cost. Accommodation in Tibet Tour is in hotels and Guest house. 6 nights of accommodation is in twin sharing hotels and one night at Ronbuk is in local guest house. 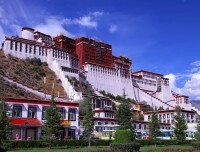 7 Nights 8 days Tibet Tour package included every morning breakfast. You will get breakfast from the same hotel you staying. Restaurant for Lunch and Dinner can choose by your own. our Tibetan guide may suggest you good place as per your interest. Main Tibetan cities have choices of Chinese and continental restaurants. One day at Ronbuk has only basic Tibetan style restaurant for your Lunch and Dinner. Clean toilets are inside of your rooms in Lhasa, Shigatse. One night at Ronbuk Monastery is common toilet outsite your rooms. Due to the health problem or any other problem, if anyone needs emergency evacuation that cost is the extra cost and all the expenses go to the person. We arrange all the needful services. Helicopter rescue in Tibet part is not allowed. Rescue have to done by driving in Tibet/Kailash part. Tibet Tour group size can by any in number. it is group joining tour mixed all nationalities. It does not go more than 20 peoples in one single group. Acclimatization in this tour is important and need before reaching at high altitude immediately or so fast. Our itinerary is including enough acclimatization days in Lhasa (3650miter) before reaching High altitude Everest Base Camp. 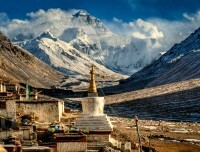 Best season for Tibet tour is from April till September month. Although rest of the months liOctoberbet to February still suitable. Coldest months Dec, Jan and Feb might not able to reach Tibet Everest Base Camp. it will only know at current time.